Lewis Hamilton apologised to fans after the third practice session ahead of the Mexican grand Prix saw teams forced to wait for the track to dry before running, pointing the finger at the FIA for refusing to allow teams an extra set of tyres. Both cars out early in #FP3 for an exploratory lap on the Inters ???? Rain on Saturday morning in Mexico City left the Autodromo Hermanos Rodriguez circuit damp, but not wet enough for teams to run their cars with intermediate tyres fitted. 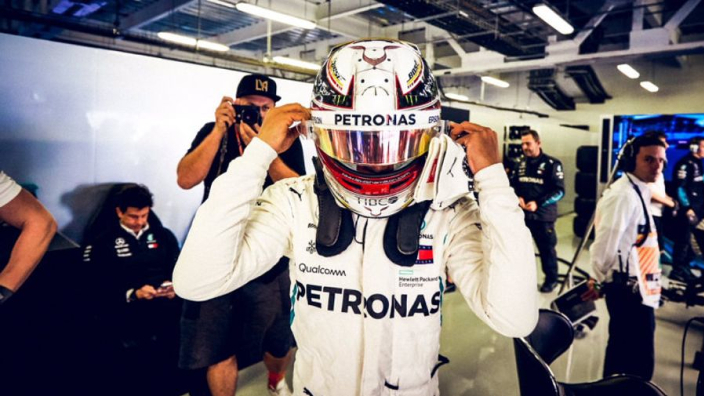 It meant a wait of over 30 minutes for any on-track action – during which time Hamilton took to his Instagram page to update his fans.